During the dry season, farmlands recycled 60 percent less water than native savanna. 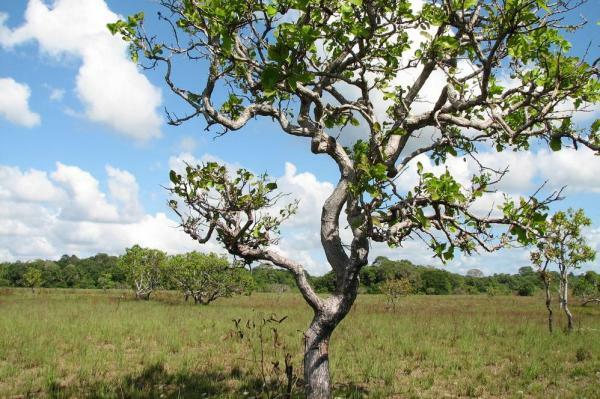 UPI 1 April 2016: A new study shows deforestation, already prevalent in the Amazon, has expanded southward into Brazil's Cerrado, a vast region of tropical savanna. "This is the first study to show how intense the deforestation and agricultural expansion in the Cerrado has been in the past decade," Gillian Galford, an ecologist at the University of Vermont, said in a news release. "It's clearly a new hotspot for tropical deforestation." In coordination with researchers at Brown University and the Woods Hole Research Center, Galford and her colleagues at Vermont used satellite imagery to plot the...read on.